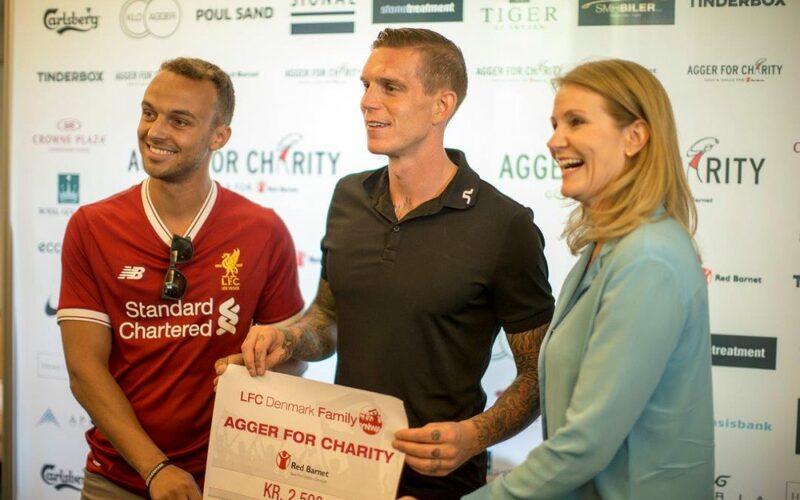 Liverpool fan club Redmen Family donates 2.500 kr and contribute to The Agger Foundations’s most recent fund raising event Golf & Galla. The total amount raised at the charity event will go to the charity organization Red Barnet project “Space for All”. A project where vulnerable children experience how football and other recreational activities can be a social leverage for them. By participating in for example football, they gain friends, they get the opportunity to meet positive adults, they get exercise and increase their self-esteem. All positive experiences help them through an otherwise difficult childhood whilst equipping them for the future.